Klubfest photos part 2 !! Discussion in 'Klub Fest 2007' started by Funbus, Jul 2, 2007. Hey funbus, did you learn after chatting with Allan (owner of the V8 pic you have) that the wheels on this monster Dub come from a Bob Cat. Pretty heavy Duty stuff hey. G'day Allan if your reading this. Thanks for the cooler. i got my printer dock back yesterday so i will start loading photos up on sunday that will be fun! 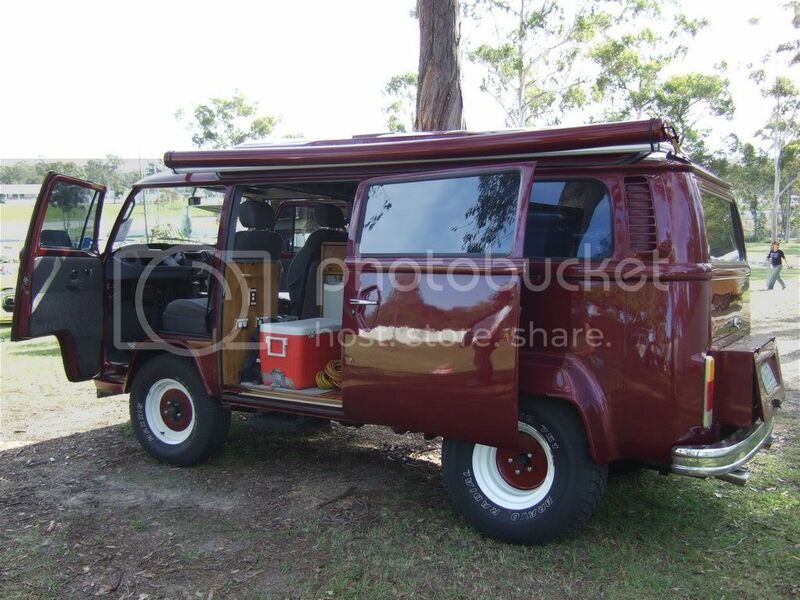 by the way whop owns that maroon kombi is it transfered to 4wd or just highered! With the maroon van has he added that box bit on the engine acess lid in order for the big engine to fit or is it somehow for storage? Hi Joel, the Maroon Vrrooombi is a real beast. It is owned by Allan (don't think he is on KC site). 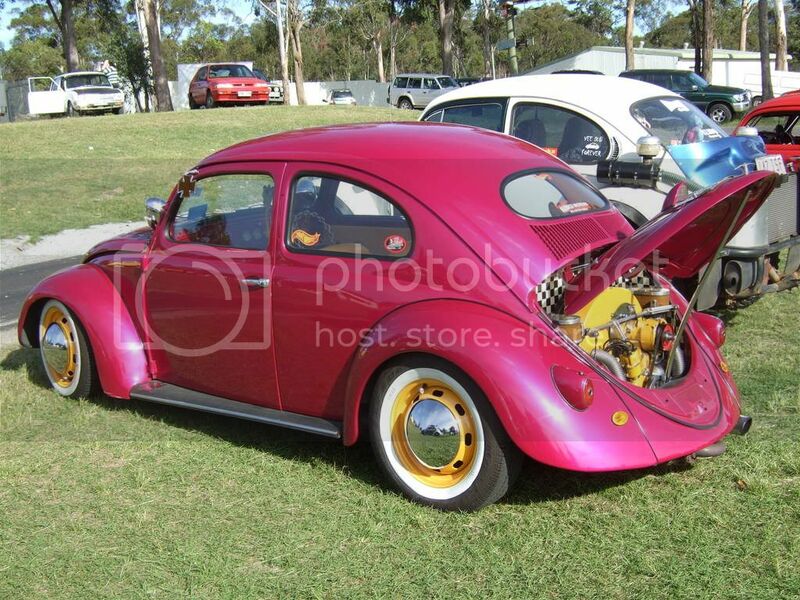 Allan had a lot of hassles getting this V8 rockin and rollin on Queensland Roads due to the modification. If I recall correctly, 307 V8, hugely flared guards to fit the Bobcat wheels, the box out the back is to fit the heavy duty cast iron engine and the cooling system is fed from air dams and fans beneath her belly and the twin exhaust is scary when fired up. The interior is very luxurious as well. Very nicely done. Allan is a plumber and has done most (if not all) of the work himself. I agree with Chris/Hoops - the interior was STUNNING!! I just had a friend that was at Klubfest give me some more photos so here they are. These photos were taken by the man Adrian is working for he is out here from Germany to build the new Titans stadium. 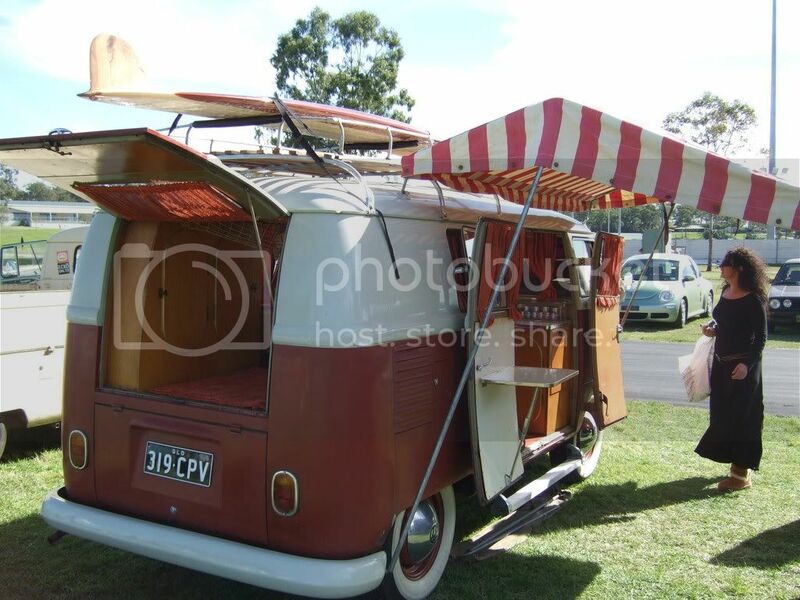 He loves everything Kombi but on Klubfest day he didn't arrive until everyone was packing up. 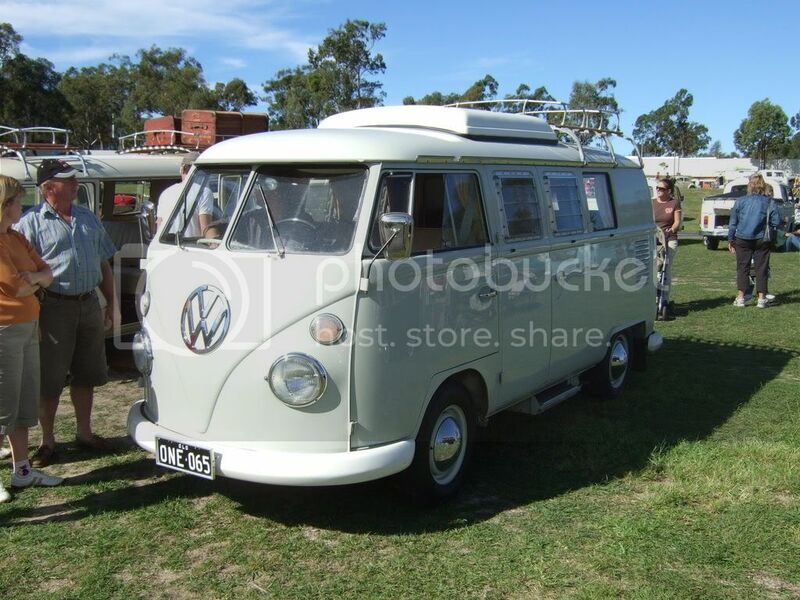 He said there are no Kombi's left in Germany because they have all rusted out from the salt on the roads. He would love to take a heap of them back home with him. My camera is fine I think its the person behind it that needs the lessons. I havnt used it much but will give it a work out next weekend. Man Hoops that is the exact same number plate that i was going to have on my kombi. i was wondering what that big box is for now i know thanks hoops! you still should be able to hoops is in Qld ur in tassie so shouldn't mater to much should it?? na i spose not as long as hoops doesnt move down here. Hey Joel, I do plan on living in Tassie down the track. I love the place and have been there twice so far. Not sure when but it's gunna happen at least for a period of one year. Glad u like the rego, Lucky I guess. I suppose i could change the "Q" to a "0" or "o". Or i could add a few numbers on the end.